Being a die-hard fan is not easy work. When you eat, sleep, and breathe a particular artist, you have to keep up with everything from tour dates and new singles to lineup shifts and hiatuses, especially if the band is around for a long time. Fall Out Boy is one of these bands — in their decade-and-a-half-long tenure making music, there have been great albums, lousy albums, a hiatus, a few solo projects, a celebrity marriage, and a weird baby name, and that’s just in the first three years (kidding!). 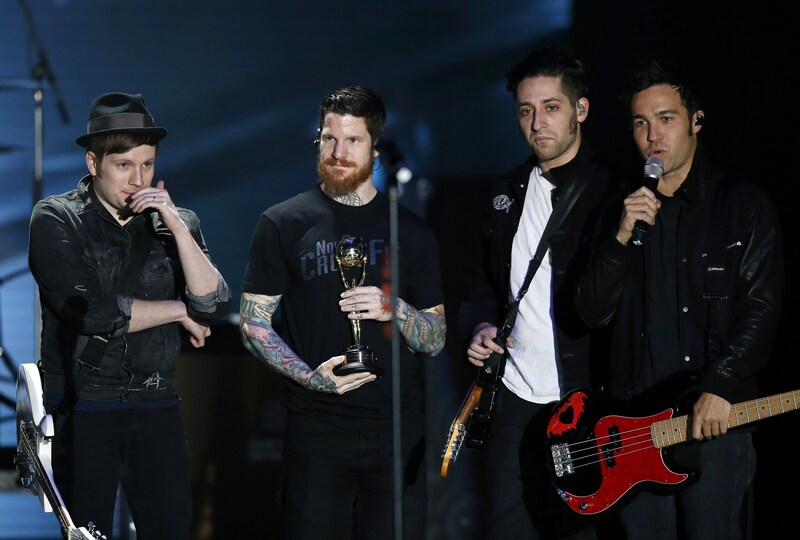 Obviously, Fall Out Boy fans have been through the wringer a bit, biting their nails and cheering on Patrick Stump and company. They were even okay with Pete Wentz and Ashlee Simpson sharing eyeliner! There were MTV VMAs, Grammys, a record label, and the Vans Warped Tour. How could a person ever keep up? Complete and utter fandom can take its toll on the average person: It’s emotionally taxing, and you really have to give it your all. That being said, there are stages that every fan goes through during their favorite band’s life cycle. Here are the things that you (and I and all of FOB fandom) felt over the past ten-plus years. What is this music I’m hearing? I like it. I can rock out to this in my car (this is especially true for teenagers, like I was back then). What is this? Why is this kid a deer? The song is good, but is this video promoting a whole subspecies of deer people I didn’t know about? Like all celebrity marriages, it seemed like a good idea at the time. They had a son they named Bronx Mowgli, which isn’t as bad as “Apple” or “Pilot Inspektor”, but it’s still not great. Because Pete and you were meant to be, you were happy when he became single again. You could totally co-parent Bronx. Sure, you loved him when he was a bit chubby, but he worked hard and got down to a size he was comfortable with. And that’s all that matters, right? That he is comfortable in his own skin. Patrick has an exquisite singing voice, so you were down to hear even more music by him, even if it did have a sort of weird electronic edge. It’s good to experiment, right? Why was this happening to us? Why can’t they just put out a new album? What is wrong with the world? Why? A great new album! A new single! The band is back together, you guys, and everyone is looking as fine as ever! Is this what heaven feels like?